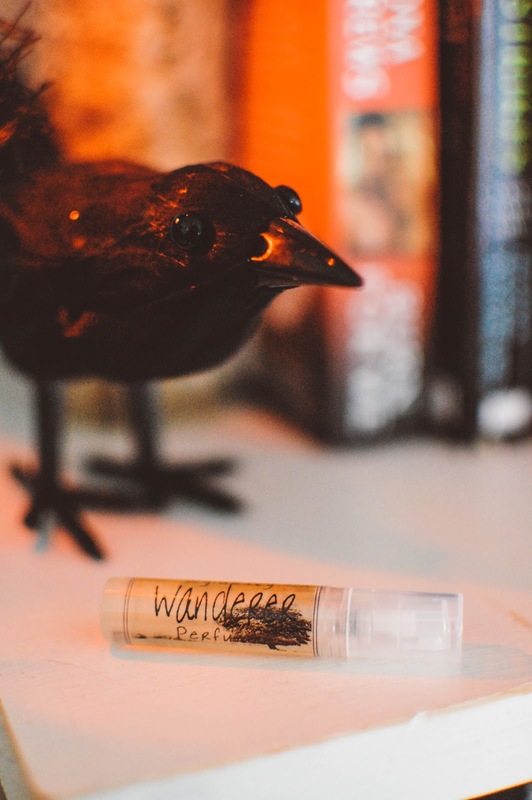 Wanderer- Notes: Fresh bergamot and orchids, dusty amber, cedarwood, smoked vanilla pods and aged musk. Mild bergamot tempers the sweetness of vanilla orchids. This wanderer roams the the Mexican forests along the mountains in Veracruz where vanilla orchids originated, these pale green vines and tiny yellow bursting starfish shaped flowers hang heavy with green vanilla bean pods as they climb the wild orange trees. Walk with me in a vanilla wonderland. Little Shop in Salem- Notes: Incense, patchouli, potions and magic. I want to visit this shop. It is an open window day while strolling about this all natural store full of trinkets and amulets, moons, stars and incense. An expensive blend of Nag Champa curls up from a hand rolled cone sitting in a dish someone pinched and painted with love. Fresh wildflower bouquets tied with twine perch on knobby bookshelves and grace a tatted lace doily on an antique side table that showcases handcrafted soaps and potions. 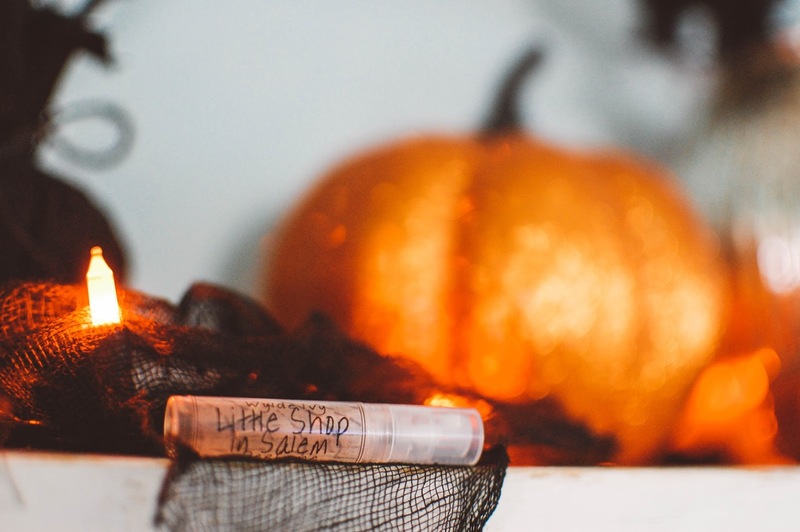 This perfume will make you want to stay and sit a spell in the Little Shop in Salem if you are an earthy incense lover. Cinder & Spice- Notes: Smoky spice, frankincense, vanilla bean, smoked currants, cracked pomegranate, dry woods, delicate jasmine, patchouli and tea leaves. Smoked currants. My eyes squinted a little at that but I get it. I am picking up what Ashlee at Wylde Ivy is laying down. On first spray the currants and pomegranates pop out with a tartness yet not a juiciness, more dried and concentrated than candied or fresh with a soft veil of amber incense smoke that wraps around the dried fruits. The heart sweetens and softens into a bed of sugared jasmine petals and intimate spice. Cinder & Spices dries down on the skin like a shawl of vanilla woods and a cup of mild warm tea that keeps the chill at bay. The black tea and smoke never come off as bitter or harsh or even overtly obvious but more of a blanket of fuzzy warmth. 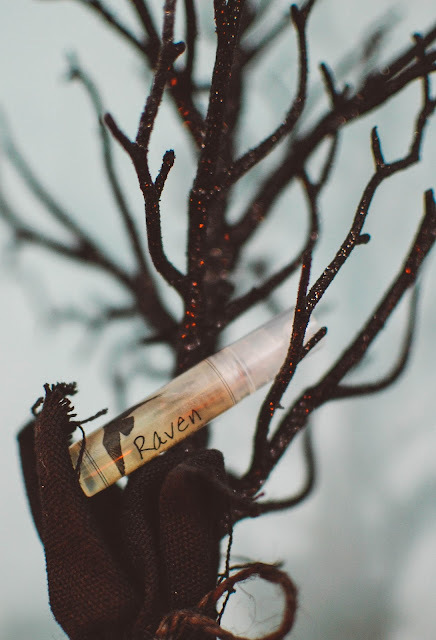 Raven- Notes: Sandalwood, oak, patchouli, vanilla, vetiver, lemon, black pepper and jasmine. The perfume smells just as brilliant as the soap. Candied, peppery, smoky yet so smoothly blended that it lies like a sheer organza smog over the skin. This is the shadow of an unkindness of ravens draped over your body and filling your senses. They flock and swirl and dart like a tornado in the sky, trailing black feathers and weighty omens. It smells of smoky vetiver and earth refined by creamy sandalwood and velvety oak. The vanilla adds sweetness and the black pepper some warmth. This is one I love dearly. Stolen One- Notes: Dry woods, tonka beans, earthy musk, beeswax, caramelized benzoin, tobacco leaves and sweet bergamot. 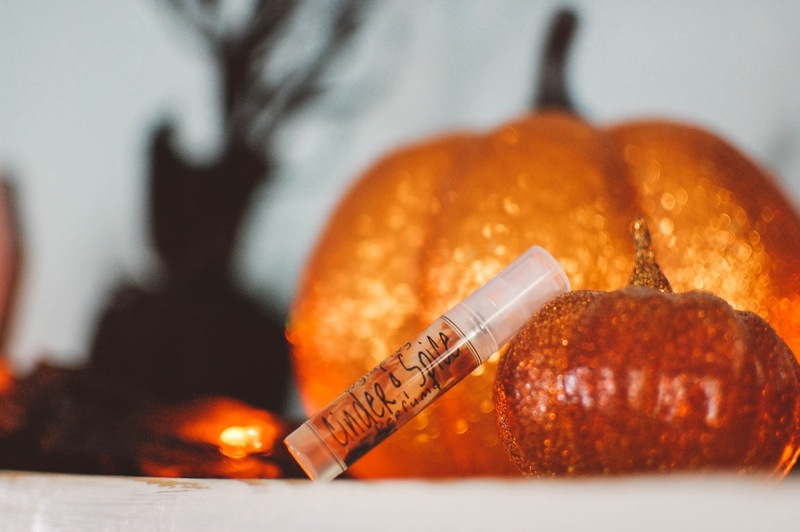 Sugar sweet candied tobacco and benzoin resin have an almost deep stewed fall apple vibe. The beeswax smells of honeycombs and softly lit candles that lie in little dark alcoves in tree hollows of the forest. 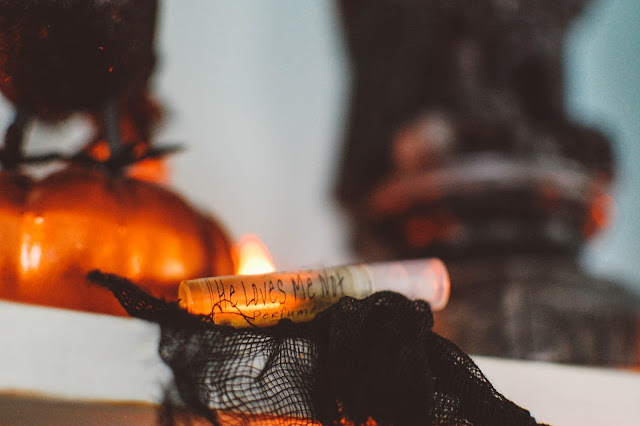 These shrines and altars to the faeries, where dried orange peels, apple peels, vanilla bean pods and tobacco leaves rattle at the base of the flickering candles, send the magical effluvia into the woods and arrow straight to the heart. The Stolen One will not be forgotten. 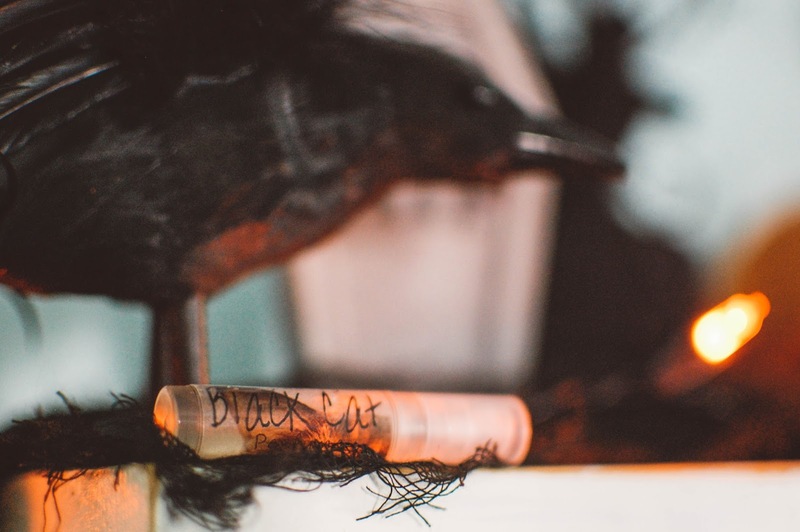 Black Cat- Notes: Black vanilla, exotic spices, white patchouli and musk topped off with sugar dust and jasmine petals. White sugar crystals infused with mulling spices and set in a windowsill to soak in the full moon accompany the star silvered jasmine flowers stitched into the shrubbery just outside the windowpane. Domesticated and comforting yet something mysterious lurks beneath. He Loves Me Not- Notes: Vanilla, jasmine, orchid, dry wood and black musk. Thick and chewy vanilla rises up on the heels of a sheer dark musk and dries down to the heart of a vanilla laden woodland. While The Wanderer smells of vanilla and wild bergamot and orange wood, this one smells of bronze vanilla woods and musk. He Loves Me Not is an easy and beautiful vanilla woods scent. 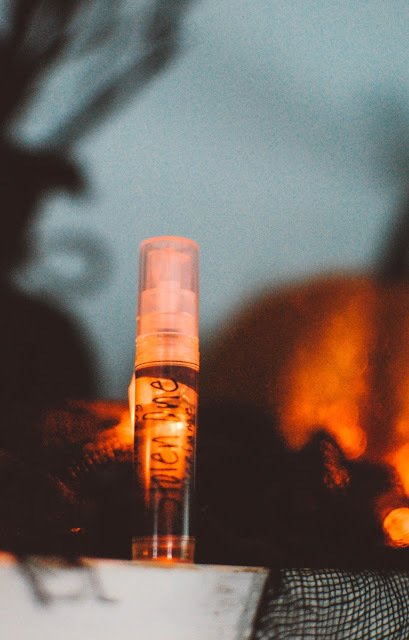 Sample sprays are $4.25 per scent or you can buy a 5 pack for $20 or a 10 pack for $35. If you love vanilla perfumes, sweet ambers and plush woods then you will find some treasures among Wylde Ivy. I have one more post of various Wylde Ivy scents to showcase next week. What are some of your favorite scent notes in perfumes? These sound really nice! Wood and incense are probably my top favorites, though I also like vanilla blends and some ambers. 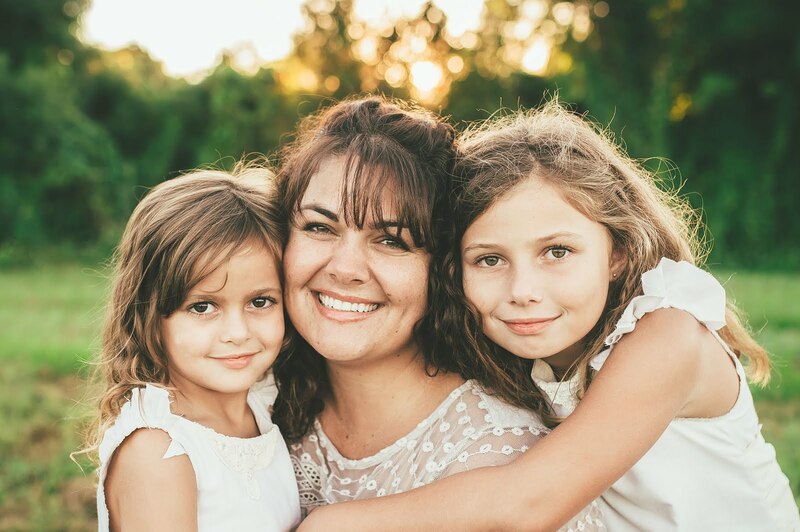 I am having fun trying Wylde Ivy! I will put some over all thoughts in the third and final post to come but for now it is a fragrant adventure. I love woods and incense as well. Serenely beautiful. I enjoy many notes though. Hope you have a nice weekend!